TIME FOR A NEW SPA COVER? | The Spa Doctor Inc.
Is the vinyl on your cover – dry, brittle, torn or cracked? Check it! These will affect the energy savings in heat retention and will impact the cleanliness of your spa water. Is the hinge (the cover fold) torn? This can provide an escape of heat! Even if the hinge area is area only 5” – we recommend a new cover. How about that foam core???? 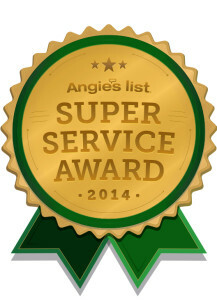 Is it sagging – this causes gaps in the overall seal of the cover. It is also an indicator that the foam core may be broken or breaking. In most cases this suggests the foam core is broken or bent. Puddles get worse over time and the weight of the water in the puddling causing the foam to break, if the vinyl is brittle, the broken foam forces through and what a mess in your hot tub! 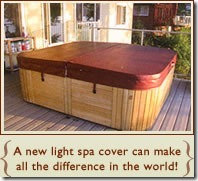 Spa Covers Now On Sale Starting At – $395, call today for details! Hang your cover by the fasteners tabs, yank on or lift cover by fastener tabs. Attempt to remove cover with fasteners still attached. Over chlorinate your spa; excessive chemicals can decrease the life span of most materials. Walk, climb, jump, or play on the cover. Allow pets to walk, jump, play, or rest on cover. Swim or play under the cover when on the spa. Allow snow and ice to accumulate on cover. Remember to remove the cover completely when adding chemicals so splashing chemicals cannot damage it. Allow chemicals to circulate completely through spa before replacing cover. This will further help prevent damage to underside of cover. Use a floating solar cover in conjunction with your SPA COVER. This is the most important thing you can do to make your cover last longer. The “R” value is greatly increased and the foam inserts are less likely to absorb steam. Remove any snow and ice from cover prior to opening. Clean dirt off your cover often. You can simply use warm soapy water like when washing a car. Periodically use protective treatment designated for marine products. The material used for your cover is treated with ultraviolet inhibitors to help prevent fading; however, use of a protective treatment as suggested will prolong the life of your cover. Because of exposure to steam, the foam core of your cover has been wrapped and heat sealed in polyfilm to prevent absorption of water. However, whenever possible, you should stand your cover on end to let the excess moisture drain out.